Hello lovelies! 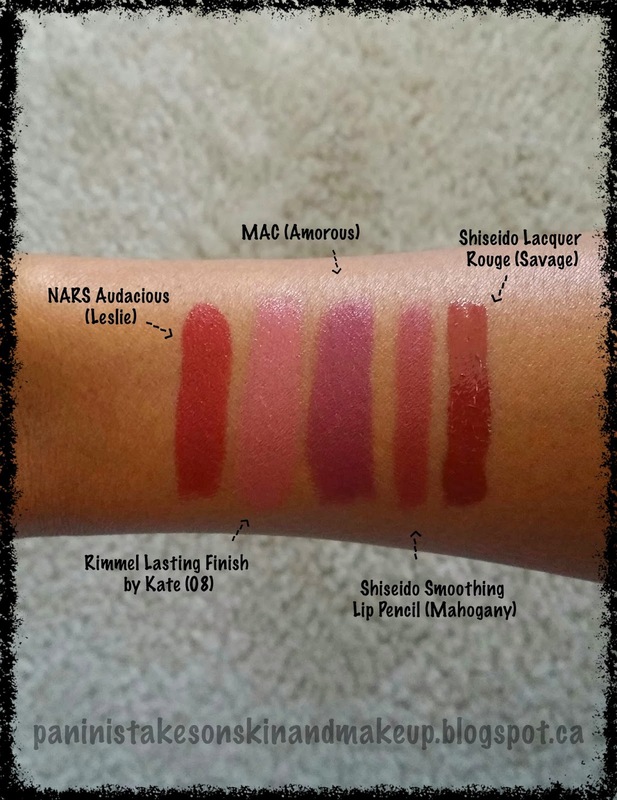 For this entry, I decide to do a Tag.. A Lip Product Addict Tag! A fellow Malaysian blogger Sabby Prue recently did this tag and I got curious. I automatically got tagged for reading her post (sneaky sneaky!) So here I go! Since my favourites and bests change often, my answers are on my current rather than all-time favs/bests. 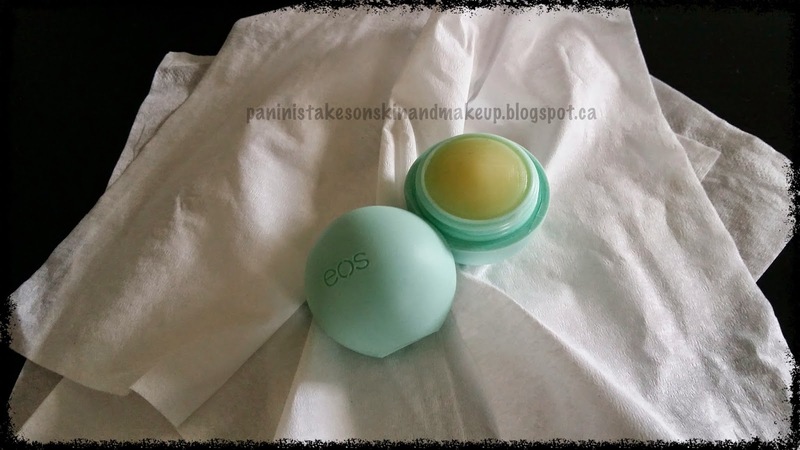 I am still faithful to the EOS Lip Balm. Mine is of course in Sweet Mint. I absolutely love the cool minty feel it gives to the lips - have yet to find another lip balm that gives a similar or stronger mint sensation. The level of hydration and moisture it gives are also up to my standard. 100% natural, cute and easy to use I apply it religiously at bedtime. You can find a more in-depth review of this lip balm here. Red is the least number of lipstick shade I own. Amongst all the “reds” in my collection, only 1 is a true-to-red shade and that is not my fav red. So if I have to choose the best eye-catching red lipstick I own, it will be Leslie from the latest Nars Audicious Lipstick collection. Oh-My-God. The formula of this line of lipstick is hands down my fav thus far from ANY brand I have tried. I prefer a more matte/semi-matte/satin/creamy finish on my lips. I tend to stay away from glossy/shiny lip colours. 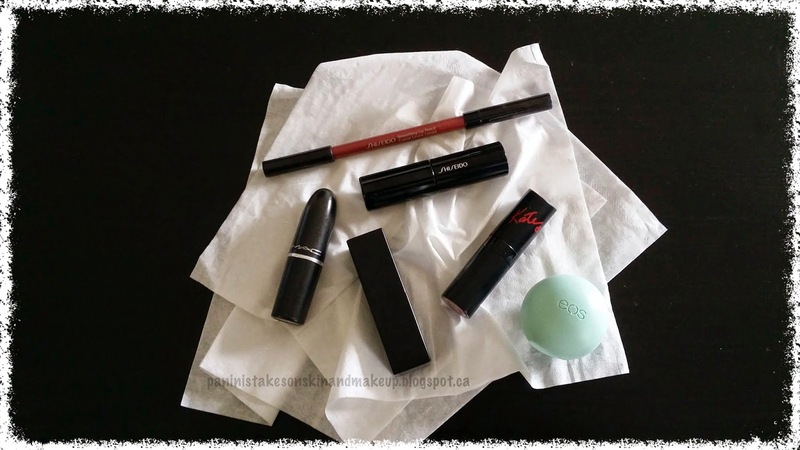 Most non-glossy lipsticks I have tried are not the most hydrating. The Leslie shade I am loving gives a satin to semi-matte finish on my lips and so far has not given me any dry lips on the side. At CAD37 + tax (thats CAD41.81 for me since I live in Ontario - yikes! 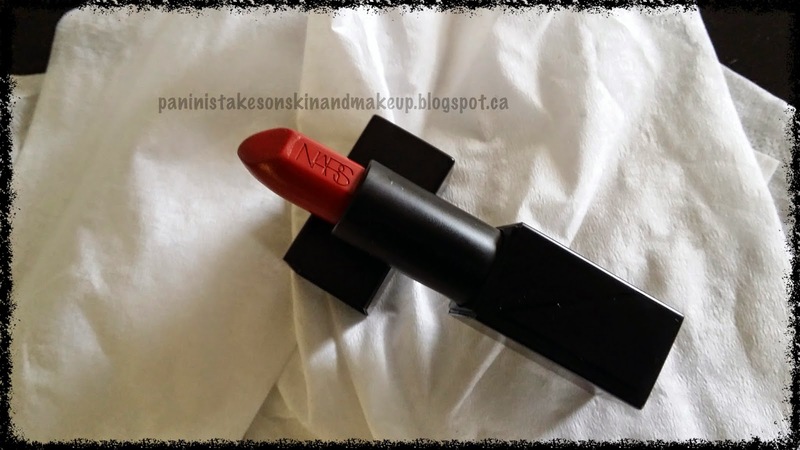 ), I consider the Nars Audacious Lipstick a luxury and is my current best luxury lip product. 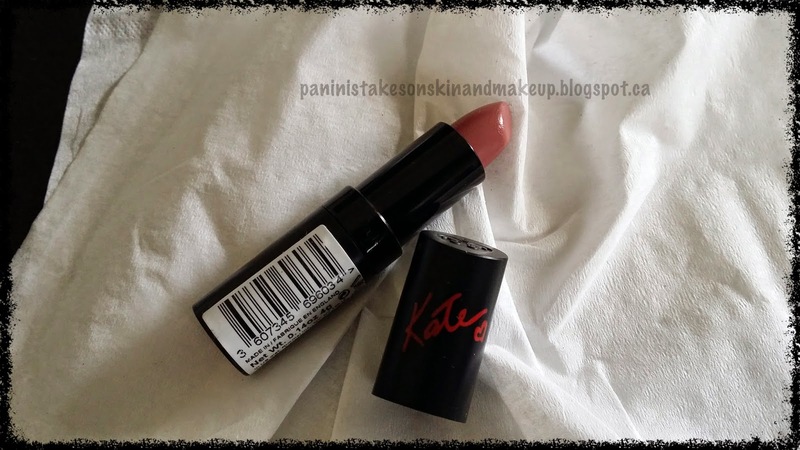 As for the best drug store lip product, it will currently be the Rimmel Lasting Finish by Kate Moss Lipstick in the shade 08. The colour is rosy-mauve with a satin finish. Not the most hydrating or long wearing lipstick, however I do love the application and feel of the lipstick on my lips. The packaging is also beautiful. 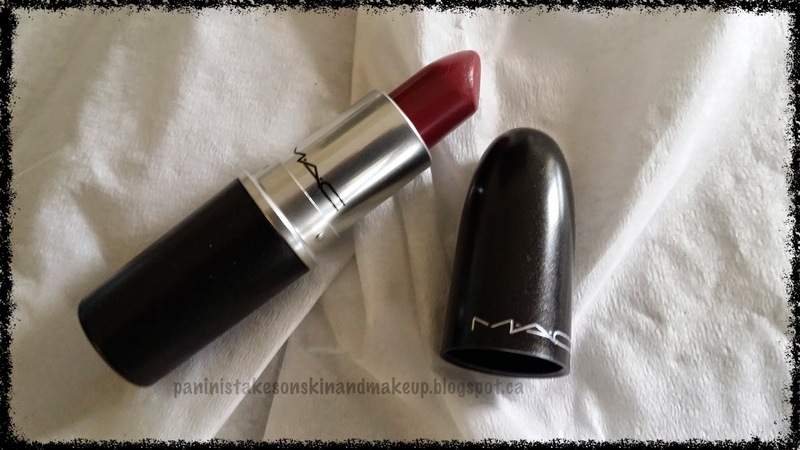 MAC is a brand that I have stopped purchasing lately due to a personal cause. 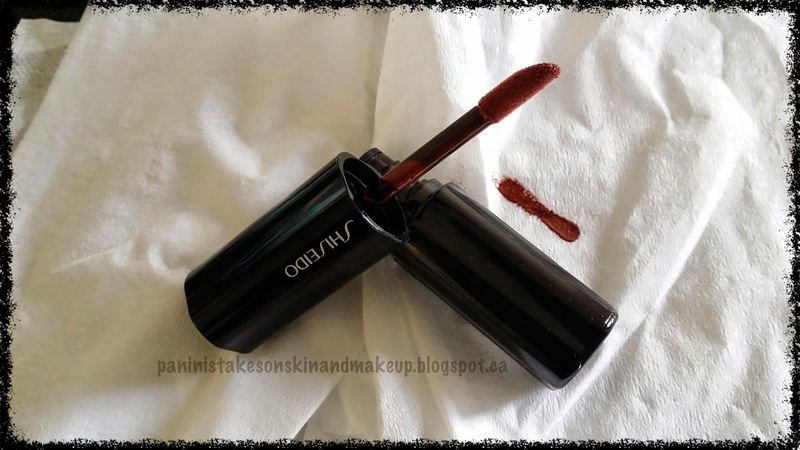 I have purchased many of their lipsticks in the past and the best one for me during this transitional season of Fall is Amorous (A93) in the Satin finish. 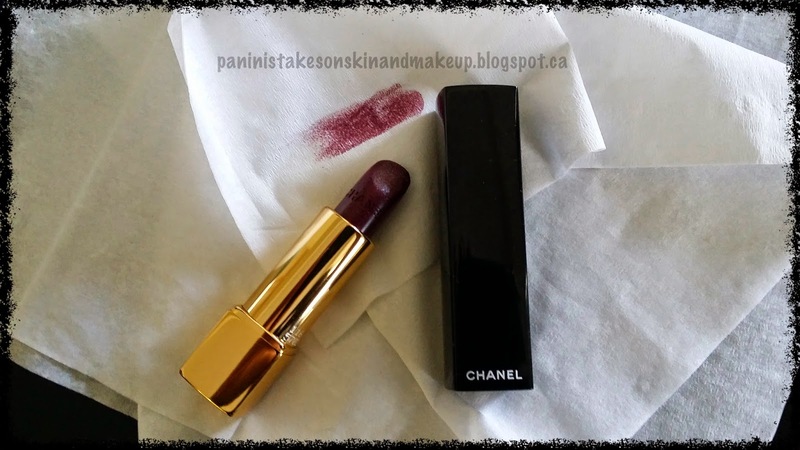 On my lips, the colour is deep berry with a tinge of purple - perfect for a dark lip look for fall without looking gothic. Recently I bought a pack of Obsessive Compulsive Cosmetics Lip Tar Test Tubes. The Test Tubes are smaller versions of the originals- like testers I guess. Sephora often sells them in pack of 3’s. The pack I bought is called Pink Prism which contains a tube of Lip Tar Primer, Lip Tar Metallic in Lovecraft and Lip Tar Matte in Pretty Boy. 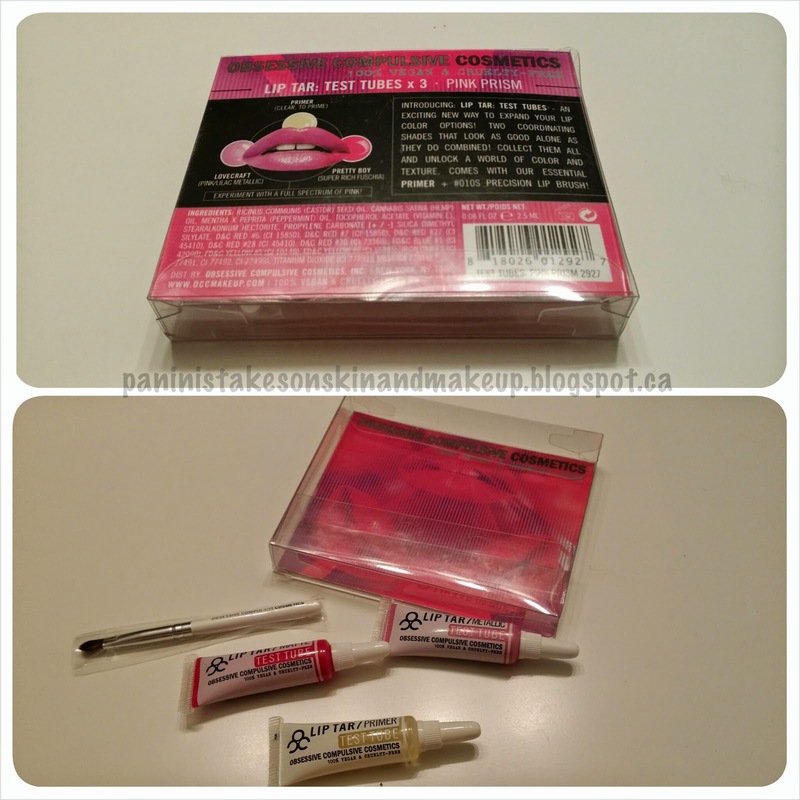 I have used OCC Lip Tars in the past and love them. However, their Metallic formula doesn't seem to agree with my lips. On applying, it separates into small patches and looks awful. I was so disturbed by this that I returned it. So yea.. OCC Metallic Lip Tars - Most disappointing Lip Product. Yes. 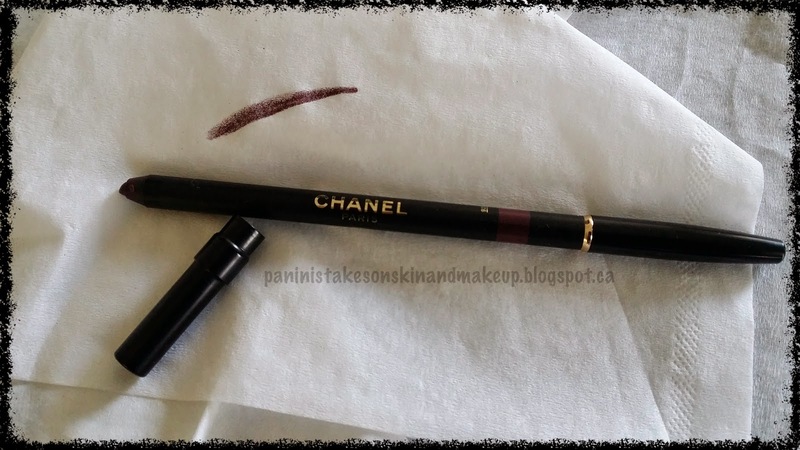 I use lip liners mostly not as a liner but a full lip colour- either on its own, or to modify the colour of a lipstick. 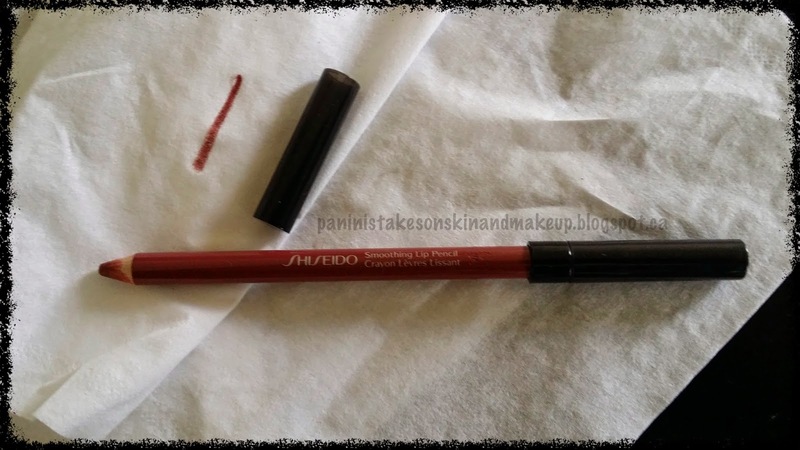 Lip liners tend to be too dry to be used over the entire lip but the one by Shiseido called the Smoothing Lip Crayon is quite creamy for a lip liner. The shade that I love is RD708 Mahogany. As mentioned earlier, I tend to stay away from glossy/shiny lip finish. So it is no surprise that I don’t really have a current Best Gloss product. I do however love the newer liquid lipsticks that has been coming out a lot recently. So I shall share my current Best Liquid Lipstick instead which is another lip product from Shiseido called Lacquer Rouge. 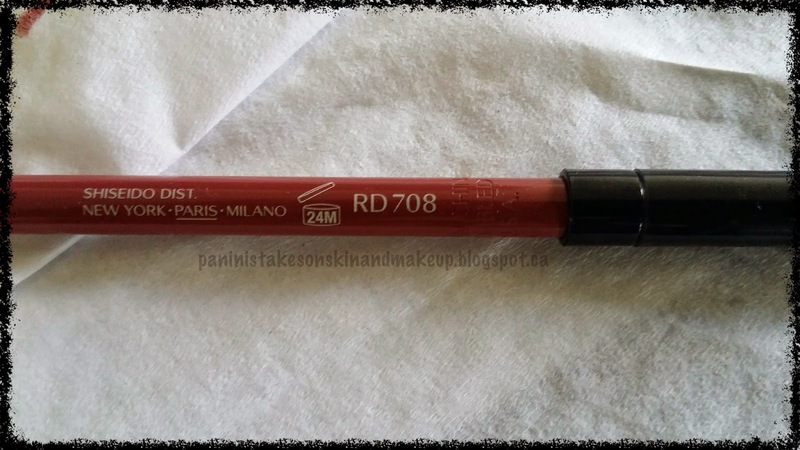 The shade I am loving at the moment is RD702 Savage - a rich earthy brown colour. Looking at my current fav lip colours above, you may have noticed that I am into bolder lip colours at the moment. 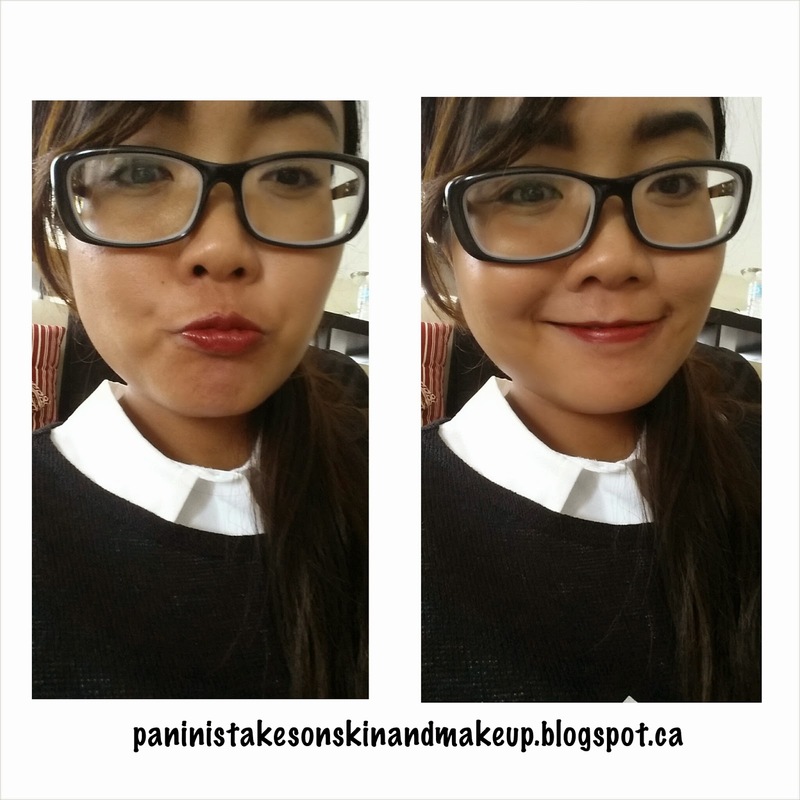 In the past, I have always gravitated towards neutral lip colours. With more matte/semi-matte/satin formulations now available from many different brands, I think it personally makes it easier to experiment with bolder colours. Shinier, glossier bold colours on my lips weirdly make me feel uncomfortable and very self-conscious. I see myself buying and using a lot more darker lip colours in the next few months for Fall/Winter of this year. Ending this tag with pictures of 2 bolder lip colour products I recently purchased and love. Hi readers! I know it's been a long time since the last entry. Hope everyone is well and had a great past few months. I would like to start posting again and will begin with my August/Summer 2014 favorites! This has been my only evening cleanser since I bought it in mid May 2014. The wash cloth it comes with gives the skin a good clean without feeling too rough. I bought this cleanser specifically for my trip to London, England. I had wanted a cleanser to give my face a thorough cleanse after a day's worth of sightseeing and using the underground train. If you are living in London or have visited London, you know how sooty the air could be. Using the underground train often could stain your exposed skin black at the end of the day (on days when I was using strappy sandals, my feet had black sooty stripes when I took the sandals off). As someone who loves a dewy supple finish on her face, I fear to even imagine the amount of soot and other stuff that would have easily attached onto my face by the end of the day! 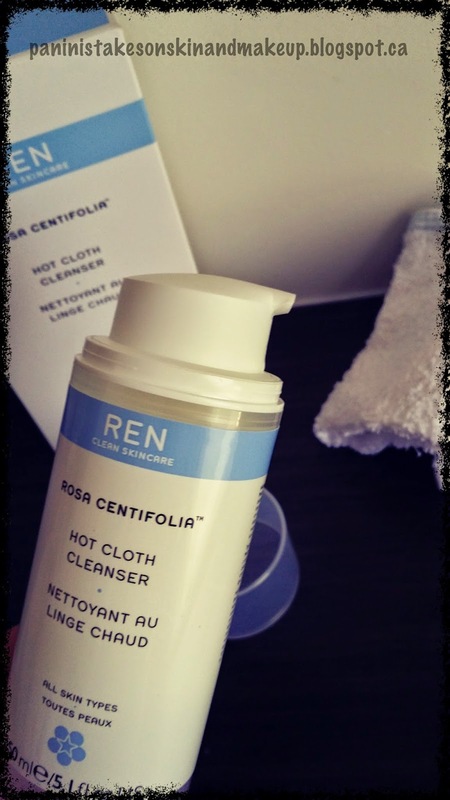 This cleanser has helped me maintained my skin throughout my visit in London and I have loved it soo much that I had continued using it for the rest of summer. The wash cloth was still in good condition by the time I finish the product. As mentioned, I used this only in the evening. Applying 2 pumps to dry skin, massage the product in circular motion to gently remove dirt and makeup (I always recommend using a make-up remover first especially for any eye makeup and full coverage foundation. I do this step regardless of the cleanser I use). Then wet the cleansing cloth with warm water (I often use very warm, almost hot water), squeeze any extra water out, and lay the cloth flat out to cover the entire face. Leave it for 15 seconds (longer if you have the time and patience). The heat will open your facial pores. Next, use the cloth to wipe off the cleanser along with all the dirt. Lastly, rinse your face with cold water to close back the pores. 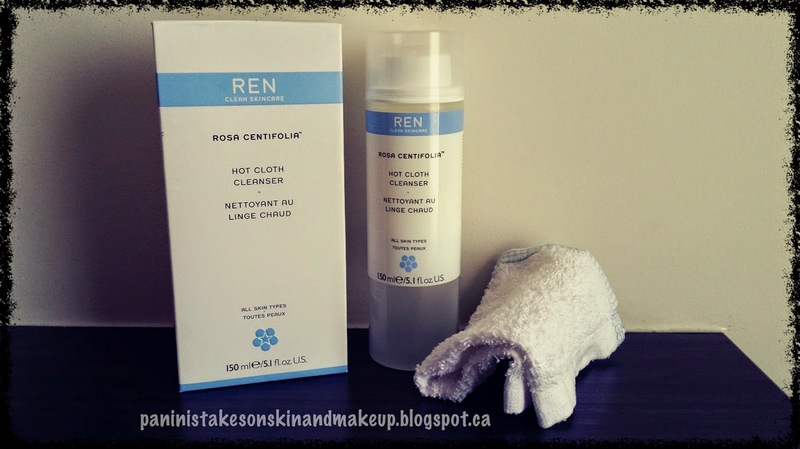 Thorough cleansing without drying the skin - definitely a keeper in my book of summer cleansers! This cream is a life-changing product for me. I honestly think I have found the best cream thus far for my dry, eczema-skin. 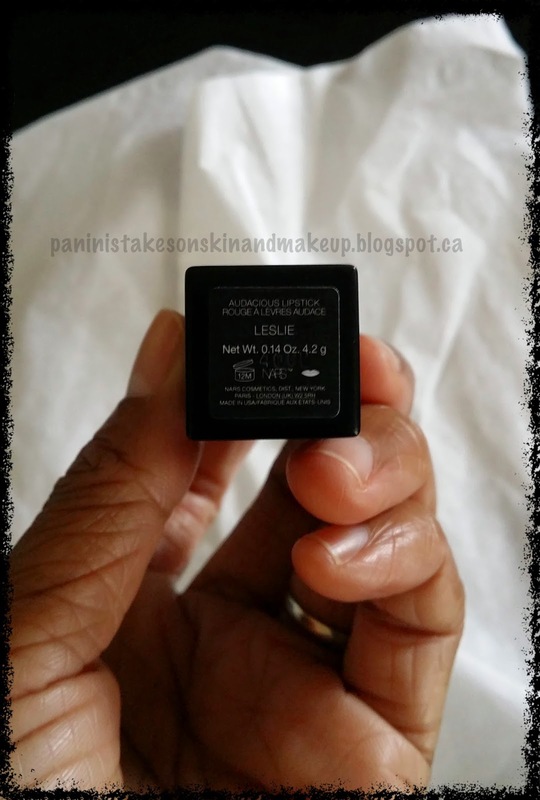 Like any new product I was trying, I was initially very very skeptical. So glad I gave this cream a try. Great moisturizing property, no harsh chemicals, and I do believe it aids with repairing and building a protective barrier on the skin. On applying, it gets absorbed easily and leaves a comfortable layer on top - not greasy but you could definitely feel a slightly slippery consistency - if that makes sense? This is an all-over body cream. I use this cream on my hands after each wash and on my face at night as a night cream. Love how my face feel in the morning. I don't use it on my face in the day as I prefer something lighter to apply underneath my sunblock. 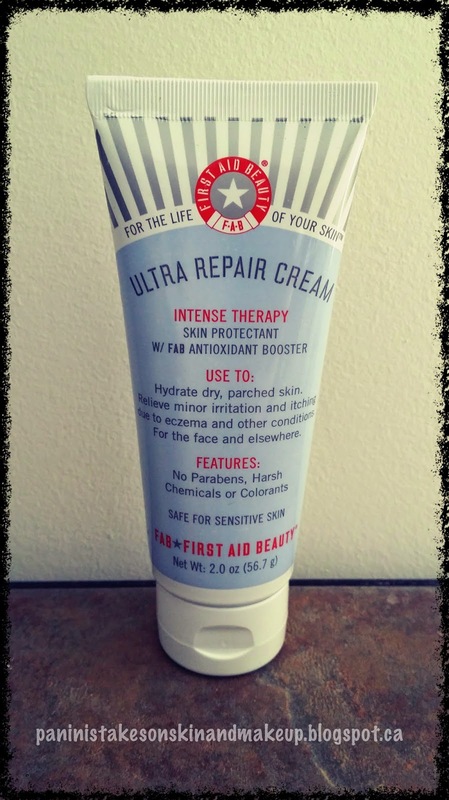 (Just purchased the lighter lotion version of this product which may work better for me as a daytime moisturizer). Note: Product contains colloidal oatmeal. Avoid if you are known to react to this ingredient. For the month of August (or really this past whole summer), nothing particularly jumps out to me in the make-up department. I am however loving the Urban Decay All Nighter setting spray. This is yet another purchase I had made just for the London trip. I don't really set my concealer/tinted moisturizer/foundation and what-have-you since I prefer a dewy finish and using powder (no matter how light and finely milled they are) always leaves my skin cakey and flaky. 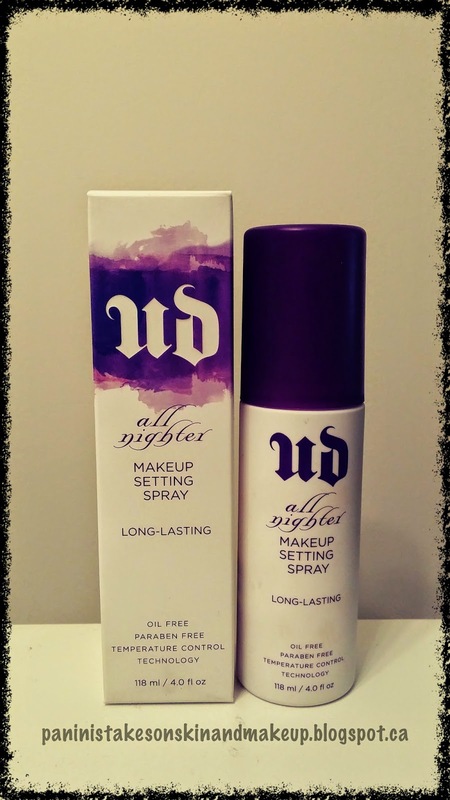 So I start looking into setting spray instead and went first for the Urban Decay All Nighter Long-Lasting Makeup Setting Spray. Happy to report that I did not need to look at other setting spray product. Works like a charm on my skin. Keeps my skin looking fresh for longer and maintain the dewy-ness I love. Even with only sunblock on, I will still spray some over my skin just to lock everything in. One issue I've had for a while with my hair is split ends. I try to get them trimmed every now and then but often not long after a trim I see split-ends again. "Reduces up to 80% of split ends after 3 uses". 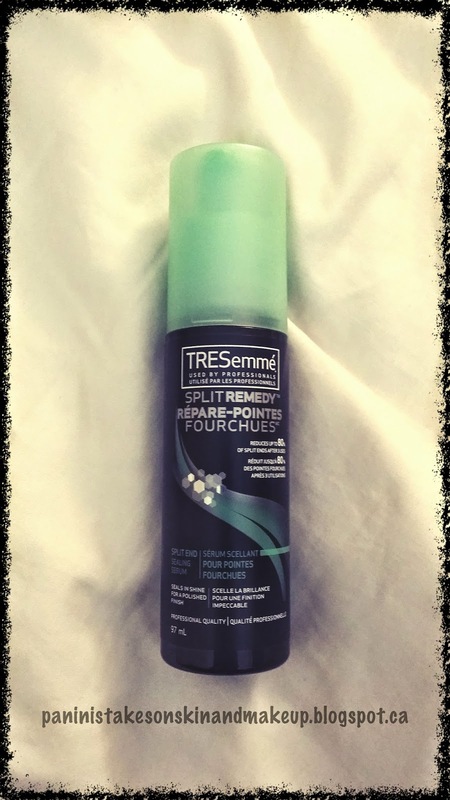 This hair serum from TRESemmé has definitely reduced the amount of split ends I have. The texture is seriously non-greasy, non sticky - many hair products I have tried claim to be non-greasy and non-sticky but they really are! I apply 2 pumps onto my palm and work it through my damp hair 3/4 of the length to the ends. Blow dry or air dry after. I have been gravitating to this pair of flats from Michael Kors a lot this summer. Bought them in 2010 and honestly they were never really very comfortable at first. I almost gave them away but glad I did not because over the years, the leather had softened and molded themselves to the shape of my feet. 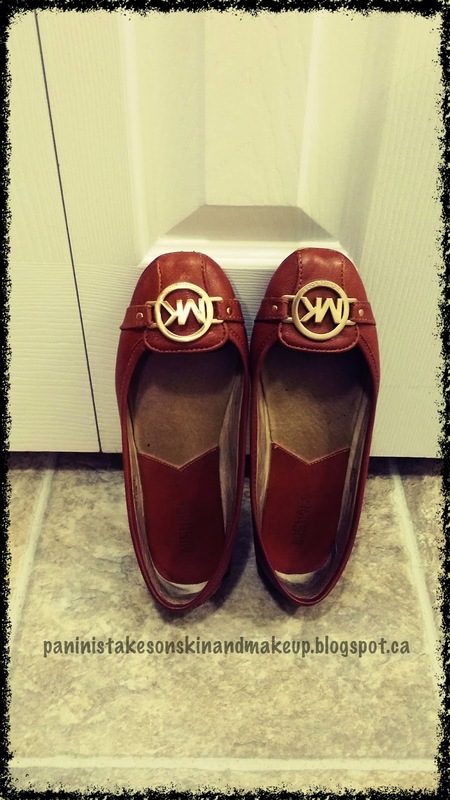 Now they are one of the most comfortable pair of flats I own! 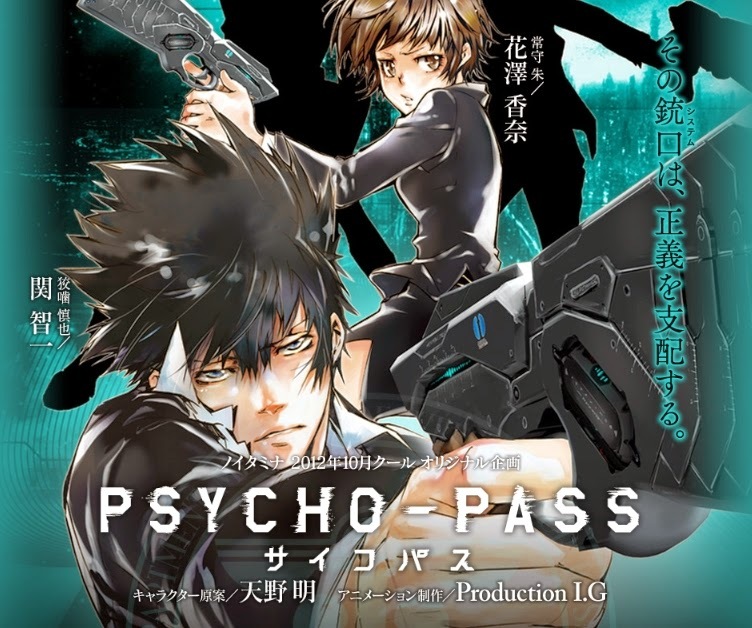 If you enjoy watching anime and love a thriller, give Psycho-Pass a shot. I thoroughly enjoyed the first season. Some scenarios got my hair standing with their stomach-churning plot. There are definitely layers as you go through the episodes. Watched them all on Netflix. Thank you for reading till the end! Can't believe summer is coming to an end. It has been barely a full summer here in Ottawa this year. Regardless, I hope that you have had a wonderful past few months!